As life in the modern world grows more complicated, sometimes education struggles to keep pace. An important way of bringing education in step with real-world challenges is through imparting life skills training to students. This important topic needs to be inculcated at the school level itself. 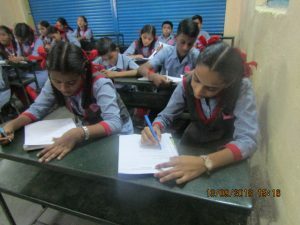 The Life Skills Empowerment programme designed by Mumbai Smiles is aimed at helping students from disadvantaged backgrounds imbibe crucial life skills that will help them navigate the world successfully in future. 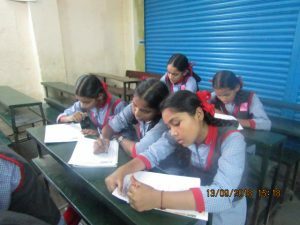 As a way to test the awareness of life skills among students before starting the programme, a pre-test and orientation session was conducted at Samta Vidyamandir in Saki Naka on 12 September 2018. 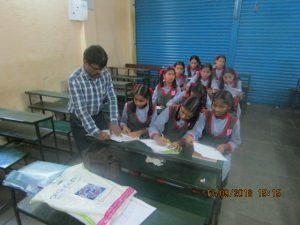 20 students from the Primary and Higher Education projects took part in the orientation session and then took the pre-test. Such a test helps not only to determine the pre-existing level of understanding among the students; it also helps to tailor the teaching to be more effective and customized. Thus, it increases the impact of the Life Skills Empowerment programme.